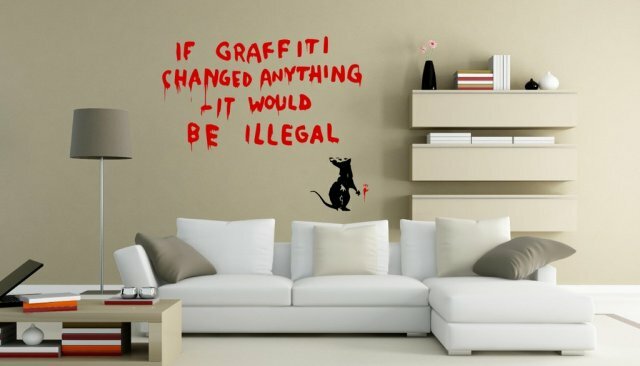 Art or vandalism is the question this stencil is sending out with growing over time Banksy's fame. 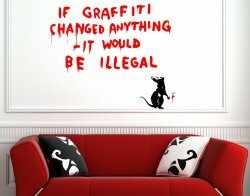 It was originally decided that this painting was to be removed as it was done on one of council's properties. 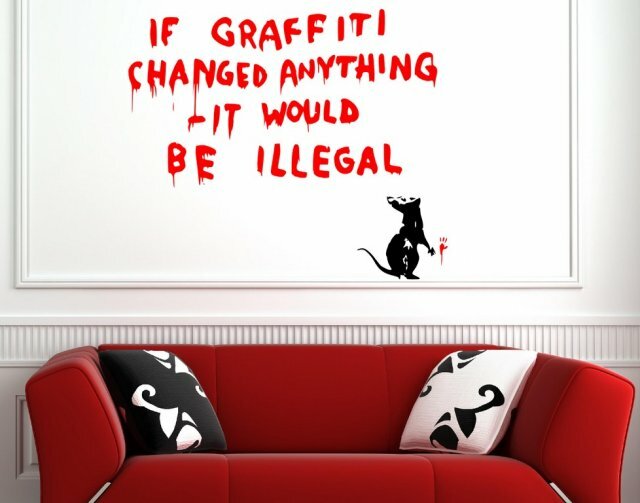 Original wall decal brings out people's discussions over the topic therefore this design is ideal for places where you have visitors. 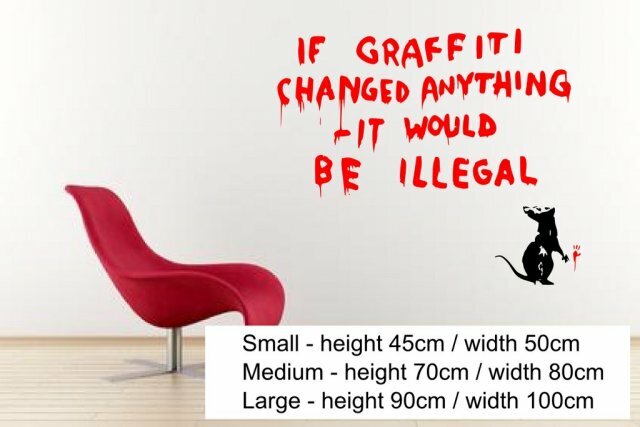 Whether as a stunning feature wall in your living room or a artistic centre piece in your bedroom you are sure to refresh and redesign the feel of your home the quick and easy way with this wall sticker. There are three different sizes to choose from for this wall decor.